Whether you are an experienced database professional or a novice starting to build your first application, DataEase and Ffenics have something for everyone with their ease of use and built in connectivity to other windows products. To date our services have benefitted large and small companies, Government Departments and the Health Service. DataEase and Ffenics are affordable, powerful and easy to use fully relational database development tools with their own powerful reporting and batch processing capabilities. 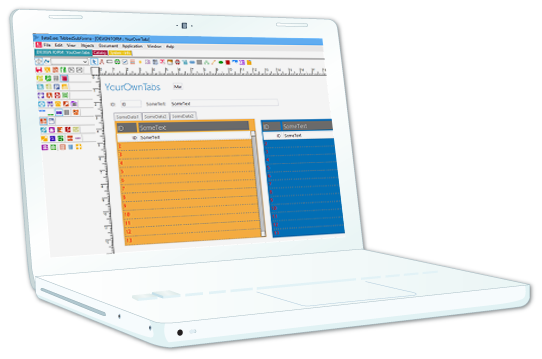 Users can easily produce accurate and well presented ad-hoc reports with just a few mouse clicks. DataEase and Ffenics include Web publishing software which allows you to manage your data via any web-connected device. You can now access SQL Servers, Access Databases and other data via internet enabled devices such as your desktop computer, laptop or PDA, all in real time access. The Web publishing software can detect which devise is in use and supply appropriately formatted screens. Adding and updating data as well as running predefined QBM reports and ad-hoc queries via your browser are also supported. Let us help you use today's technology and our 20 years experience in database design and development to improve your business. Medway Data Solutions have been successfully providing affordable systems analysis and design, IT Consultancy and database consultancy services for over fifteen years. We have assisted many companies and provided efficient and supportable database solutions. Special arrangements with software houses allow us to offer very competitive rates.